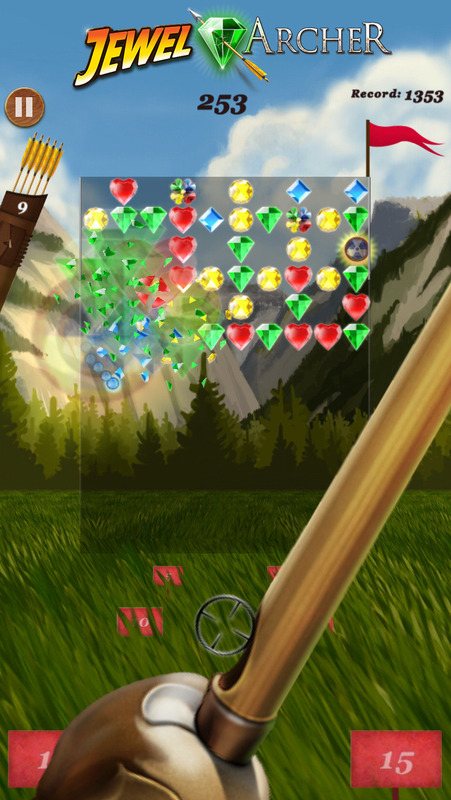 Welcome to Jewel Archer, where Match 3 meets Archery! 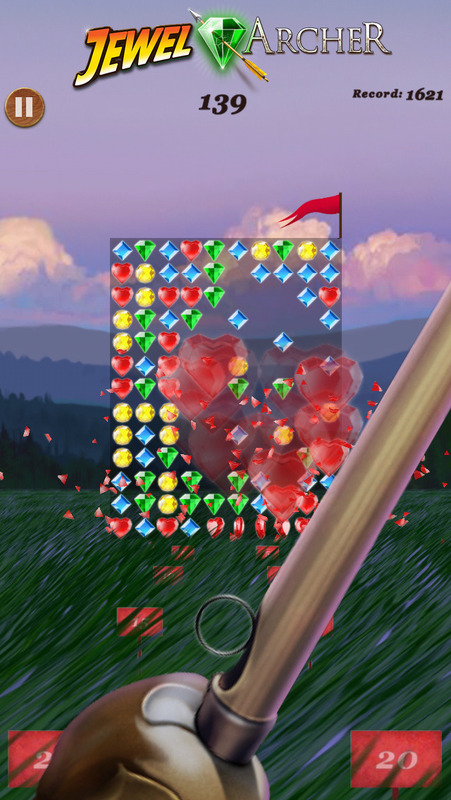 Jewel Archer is a fresh take on the genre: instead of picking jewels with your finger, shoot them with a bow. 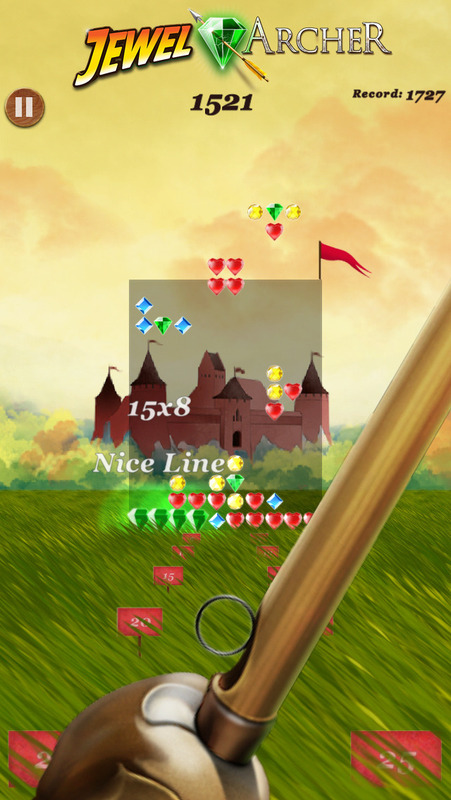 Game takes place in 3 different medieval locations: Open Field, Castle and Forest. There are 5 game modes to choose from. 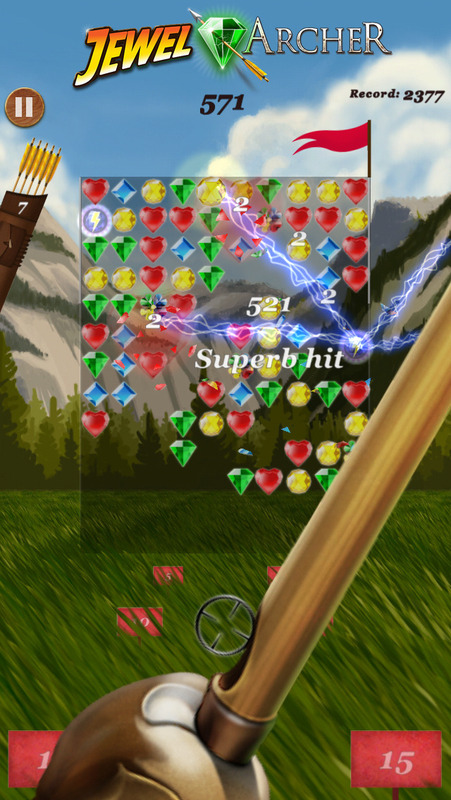 power and distance to target, pop jewels just like that! 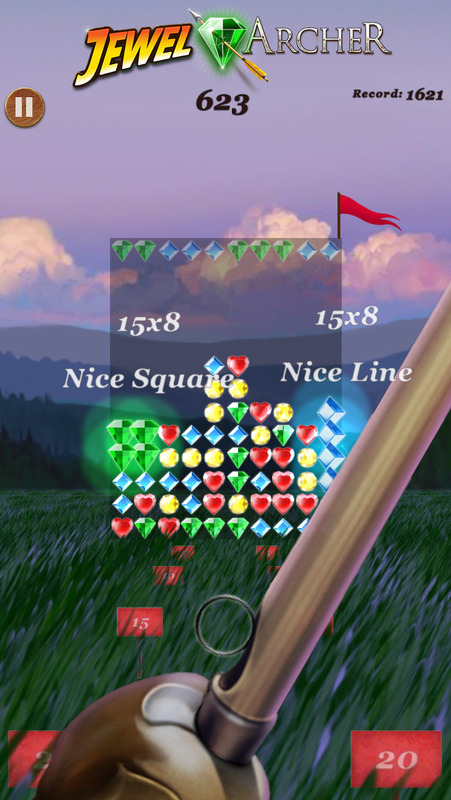 Pick up your bow and become the best Jewel Archer in your county!